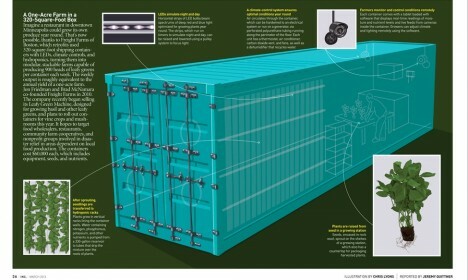 Location-independent, portable and scalable, this novel approach to agriculture applies principles already used in cloud computing and other high-tech services to the growing of everyday essentials, effectively tucking a 1-acre farm into a 350-square-foot box. 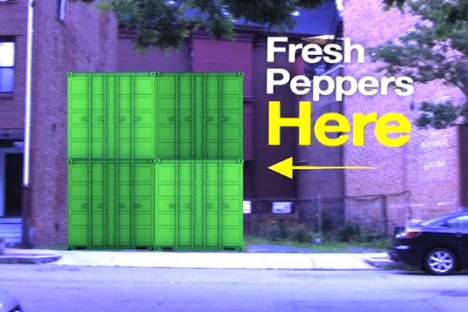 Each Freight Farm container has space for 4,500 plants, stacked and ready to grow: “Built entirely inside a 40’ x 8’ x 9.5’ shipping container, freight farms are outfitted with all the tools needed for high-volume, consistent harvests. 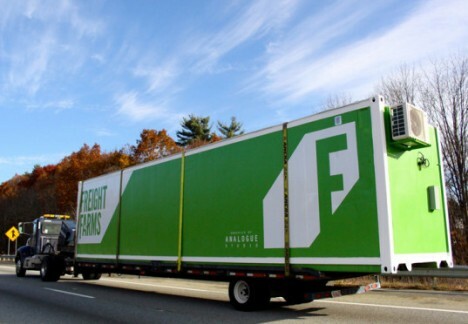 With innovative climate technology and growing equipment, the perfect environment is achievable 365 days a year, regardless of geographic location.” The units can also be moved to market to sell directly, carried easily (just like any cargo container) on the back of a standard truck. 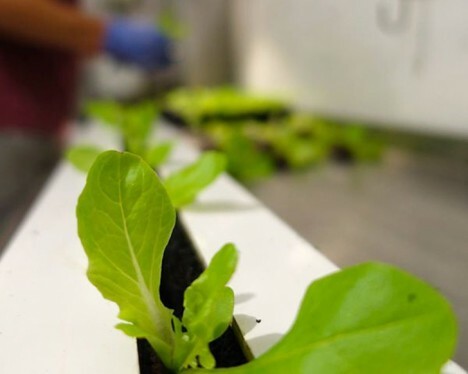 Constant monitoring of temperature, CO2, pH and other essential data means instant feedback and easy remote adjustments as well, while a built-in 4G hotspot lets these farms stay connected from anywhere in the world. Optimized LEDs allow for maximum growth and minimum energy. 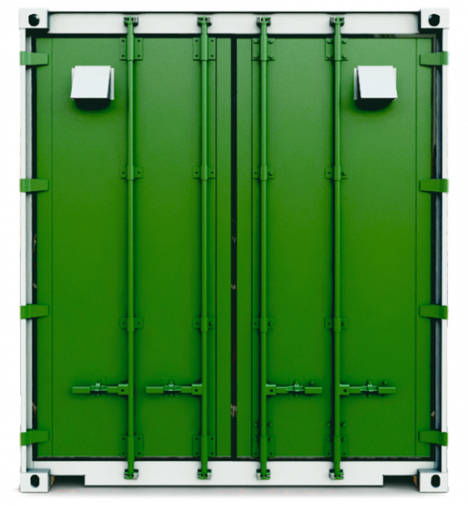 Modular and stackable, farmers can order more units delivered on demand and expand their operations as needed.